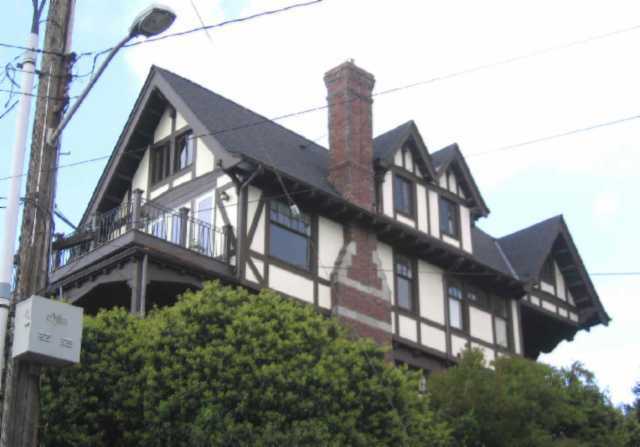 This very large Tudor Revival house is notable for its fine detailing, prominent siting, and large size. It was built for George and Eva Albers in approximately 1910. Albers was one of five brothers, immigrants from Germany, who established the Albers Brothers Milling Company in Oregon. They expanded into Washington in 1904, constructing a mill at the foot of Massachusetts Street and another on Tacoma's Thea Foss Waterway, which still stands. By 1907, Albers Mill dominated grain milling in the South Sound and by 1920 had mills in five states and three foreign countries. The company merged with Carnation Milk Products Company in 1929. The house was purchased in 1915 by William and Marguerite Dikeman, who remained here into the 1940s. It had several owners over the next twenty years, and for some time in the 1960s was used as group housing by the Full Gospel Fellowship, called the Teen Challenge Center. It is currently owned by state senator Jeanne Kohl-Welles and her husband Alexander Welles. The house was noted in the 1979 city-wide historic resources survey, which attributed it to architects McKee and Mooney. 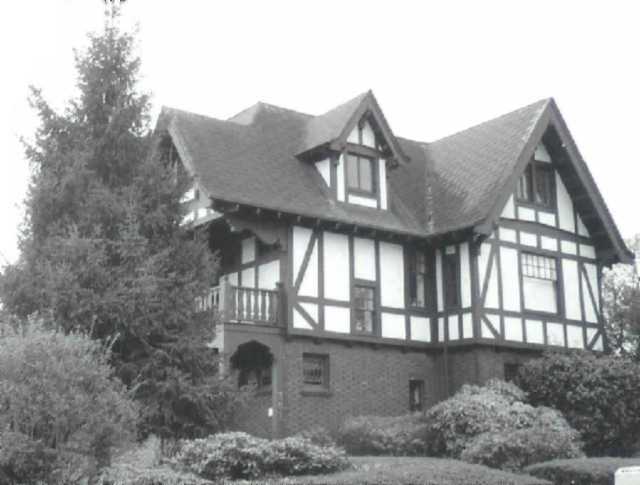 This very large home has numerous characteristics of the Tudor revival style, with dark brick cladding on the first floors and stucco with half timbering above. The basement level is concrete, with a brick water table above. It has a gable-front-and-wing form, but with numerous gabled wings and dormers. The gables have curved bargeboards. Most windows are leaded glass, in either 10/1 or 6/1 configurations, or six-light casements. The main (north) façade has a large gabled wing toward the west and a gabled dormer in the center, each with a pair of six-light casement windows. The entry is in an enclosed porch at the northeast, with a lozenge-patterned leaded glass window. The east elevation has a twin-gabled dormer next to a Tudor chimney with patterned brick. Windows are 10/1 on the first floor and 6/1 on the second. At the northeast corner is a large gable with oversized carved brackets, sheltering a smll porch formed by the roof of the enclosed entry below. The porch has a cutout balustrade. The south elevation, facing the view, has a full-width porch with square columns with Tudor arches between them; the top of the porch is a deck, with a wrought iron balustrade. The arched garage opening is at the southeast corner, set in a large brick retaining wall.